Minimize your desktop clutter and simplify your workspace with the compact, time-saying 4-Port PS/2 KVM Switch. Control up to four computers using just one monitor, PS/2 keyboard, and PC/2 mouse with the DKVM-4K and conveniently switch between connected computers with the push of a button. 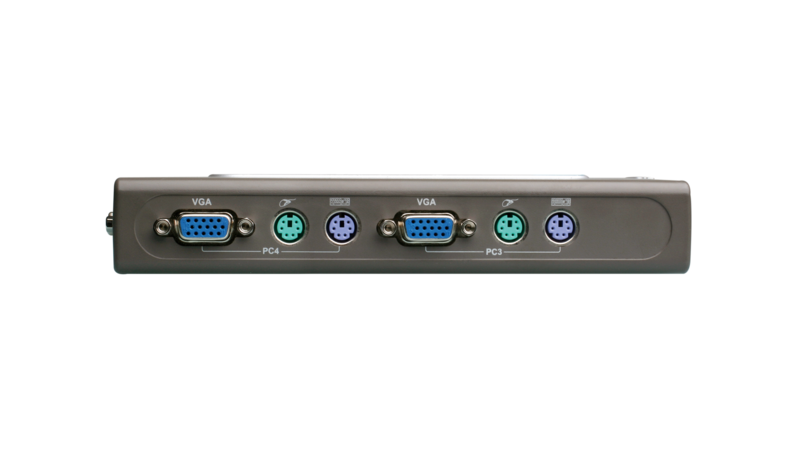 The D-Link® 4-Port PS/2 KVM Switch (DKVM-4K) is a cost-effective solution for controlling up to 4 computers1 using a single monitor, PS/2 keyboard, and PS/2 mouse. With a sleek, compact design, the DKVM-4K minimizes desktop clutter by eliminating the need for multiple monitors and PS/2 devices. The DKVM-4K is convenient and simple to use with features such as at-a-glance LED indicators for computer status, port select push buttons and hot key support for easy switching between computers, autoscan mode for automatically detecting computers connected to the switch, and support for up to 2048 x 1536 video resolution. The DKVM-4K is also Plug-and-Play, allowing you to add or disconnect computers by simply unplugging the cables without having to power down. The DKVM-4K comes with two 6-ft. standard KVM cables, requires no drivers, and is compatible with all Windows® Operating Systems. Versatile, portable, and convenient, the D-Link 4-Port PS/2 KVM Switch (DKVM-4K) can be easily integrated into your multiple computer workspace at home or in the office. The D-Link 4-Port PS/2 KVM Switch (DKVM-4K) allows you to control up to four computers1 using just one monitor, PS/2 keyboard, and PS/2 mouse. Conveniently switch between connected computers with a push of a button or use the hot key shortcuts on your keyboard for more advanced switching options. Minimize desktop clutter and simplify your workspace with the compact, time-saving 4-Port PS/2 KVM Switch. The D-Link DKVM-4K requires no drivers and is compatible with all Windows® Operating Systems. It automatically scans and detects attached PCs and recalls Caps/Numbers/Scroll Lock key status for each computer for added convenience. 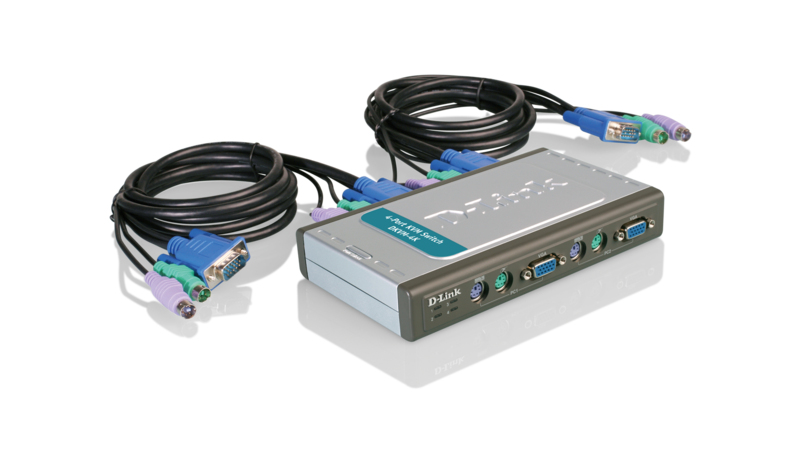 In addition, the DKVM-4K supports up to 2048 x 1536 video resolution and includes two 6ft standard KVM cables. 1 Includes two 6ft standard KVM cables (DKVM-CB). Additional cables sold separately. This product was phased out on: 10.2.2017.